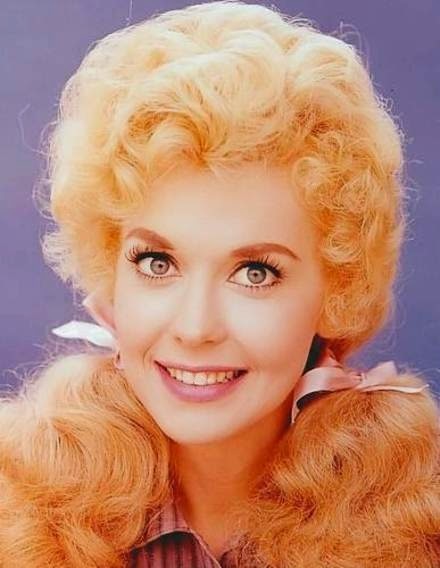 The recent passing of Donna Douglas, brought back several memories of her seminal role, Miss Elly in “The Beverly Hillbillies”. It was perhaps the most successful “fish out water” story ever, where a group of people from the hills moved to hills of another – Beverly Hills – after striking it rich. “The Beverly Hillbillies” had been off the air for years, long before I started watching television. Yet my mother always pointed to “The Beverly Hillbillies” when she talked about how there used to be good, clean comedies on TV. She tried to explain the show to me, how a hillbilly discovered oil on his property and became a millionaire, precipitating a move to Beverly Hills. It was hard for me to imagine the show, especially because she said the head of the family, Jed Clampett, was played by Buddy Ebsen. My only image of Buddy Ebsen was as the straight-laced professional private investigator Barnaby Jones. I had difficulty seeing him as either a hillbilly or a comedian. Mom also talked about Jethro, Jed’s dim-witted nephew, and Elly May, his daughter. Mom got a good laugh out of the time Elly May did the cooking. It was so bad, Jed did not want to say anything to her, but buried it in the backyard. Her cooking became an on-going joke. One day, I’m not sure if I heard it first on “Entertainment Tonight” or read it in “TV Guide”, but a Beverly Hillbillies reunion movie was coming to TV. Over the years, my mom had told me a couple other things about the show. One thing, was that Donna Douglas, who played Miss Ellie, had gone on to sell real estate after the show ended. The other thing, was that Irene Ryan, who played Granny, had died. So I wondered how they would account for all that in the reunion. It aired on a school night in 1981, so I had to stay up late, but I was so excited. It turned out Jed Clampett had returned to Bug Tussle where he had lived, and where he found oil. Granny was dead, but her mother, Jed’s actual grandma, was living there. Oddly, he called her “Ma”, which was even stranger because he called his mother “Granny”. “Ma” was played by Imogene Coca, and she fit the bill perfectly. The federal government was looking to deal with the energy crisis by harnessing Granny’s moonshine. The representative they sent out from the department of energy was none other than Jane Hathaway, the lady from the bank, played by Nancy Kulp, who was part of the original cast. Meanwhile, Jethro had become a movie producer. Donna Douglas had returned too, but I don’t think Max Baer played Jethro. Instead, he was played by Ray Young who really just was not the same. Channel 2&7 was celebrating some sort of anniversary, and aired a bunch of old shows. One of them, which they took to airing every day after school, was “The Beverly Hillbillies”. I finally had my chance to see what my mother was talking about. Elly May Clampett in "The Beverly Hillbillies"
I did not find the show as funny as my mother did, but that’s natural. It was odd seeing Buddy Ebsen dressed up as a hillbilly, when I was used to seeing him in a suit. The show was a bit too slapstick and cornball for me, so I lost interest after awhile. One thing that did fascinate me was the hillbilly lifestyle and culture. Beyond “The Beverly Hillbillies”, I was interested in the Hatfields and McCoys and their family feud, moonshine, and the other trappings of life in the hills. I even thought about making a short film, with my cousin Fred, about the Hatfields and McCoys. We would animate it, with Fred doing the art and me writing the script. Still, what “The Beverly Hillbillies” did if not first, at least more successfully than its predecessors, was make the “fish out of water” story into a hit. “Pettitcoat Junction” and “Green Acres”, which were actual spin-offs, would follow, as would many others, but nothing else was as successful. And a big part of that was the pretty, charming, and innocent daughter of the hills, Elly May Clampett.